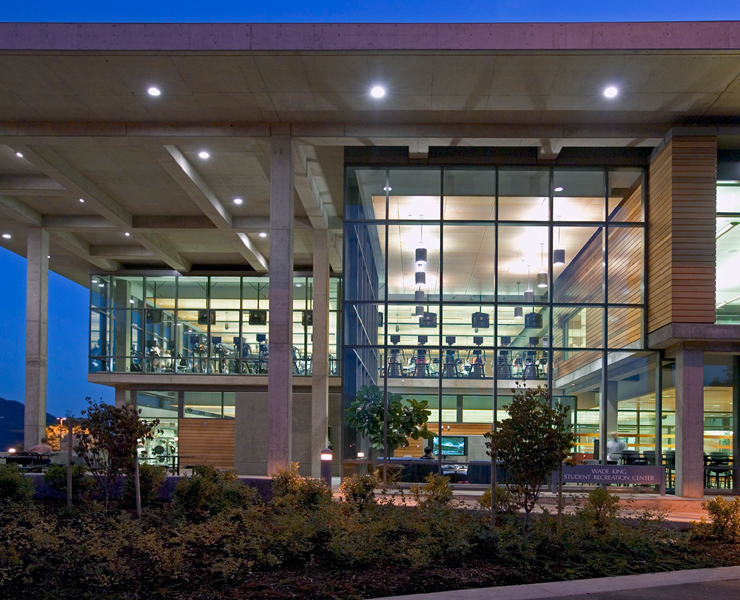 The award-winning Wade King Student Recreation Center creates an iconic presence on the southern edge of campus and creating a new gateway to the campus. 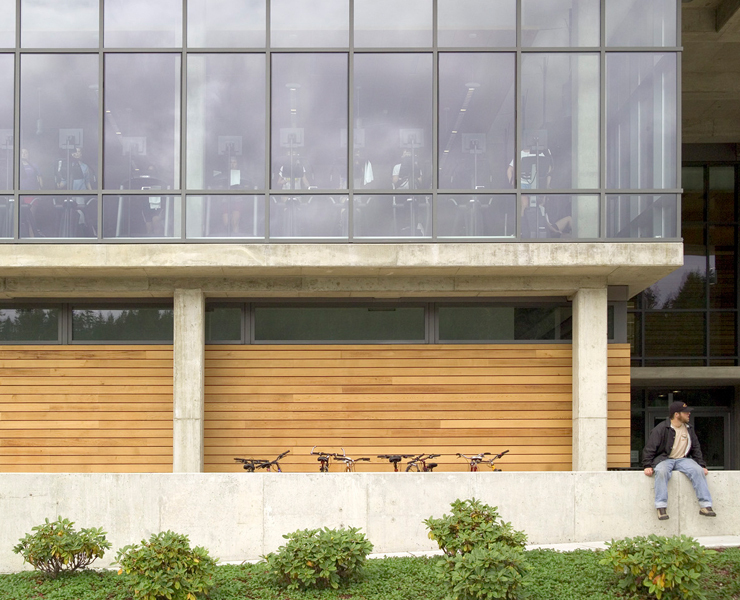 The building is key component of the expansion of the campus around a new academic quad and the Academic Instructional Center, both designed by Opsis. 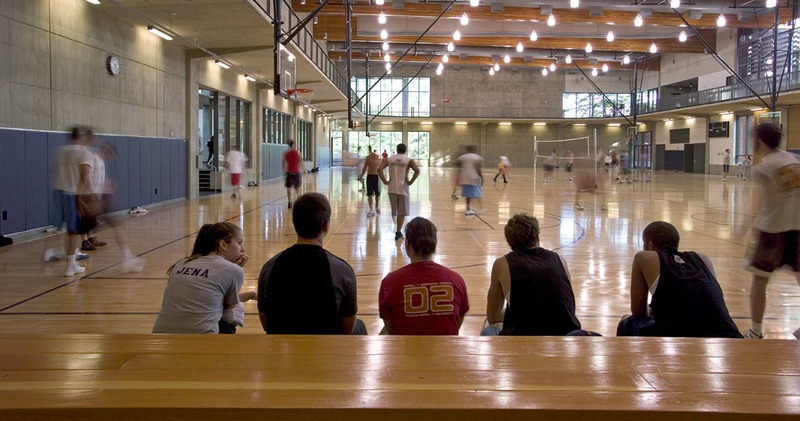 The center mediates between the athletic and academic precinct, establishing a language for future academic buildings while expressing the unique spatial qualities of recreational activity and social gathering. 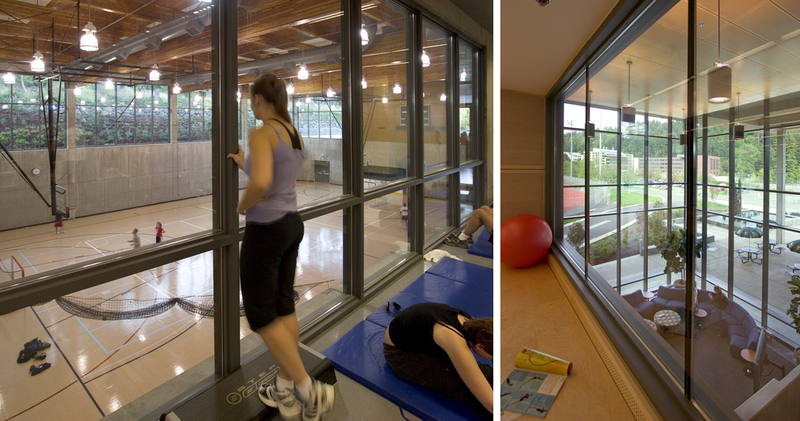 The 91,500 sf Center offers a diversified mix of activity spaces interconnected through an open and visually dynamic organization. 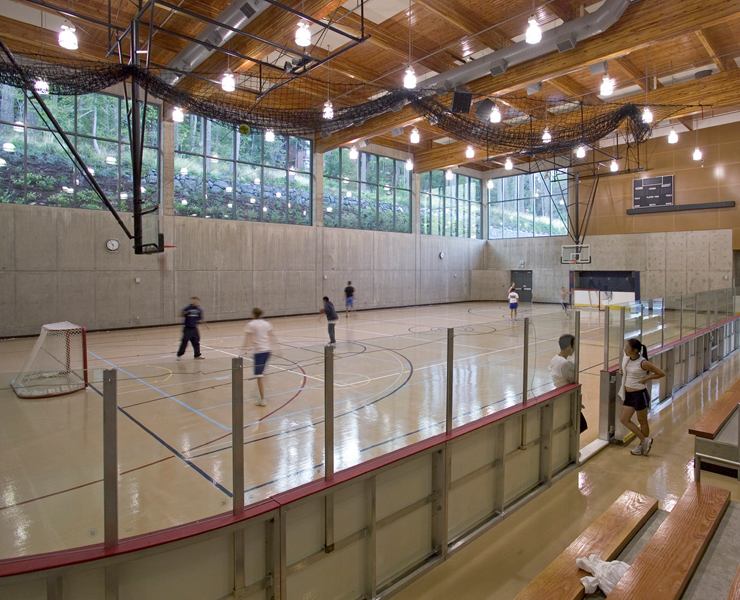 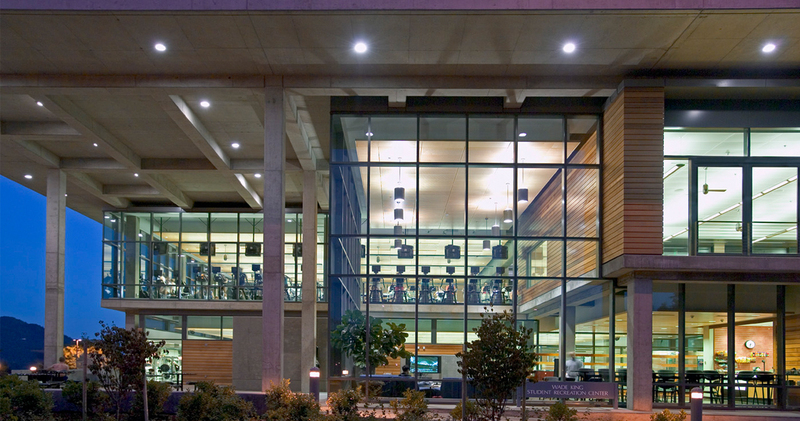 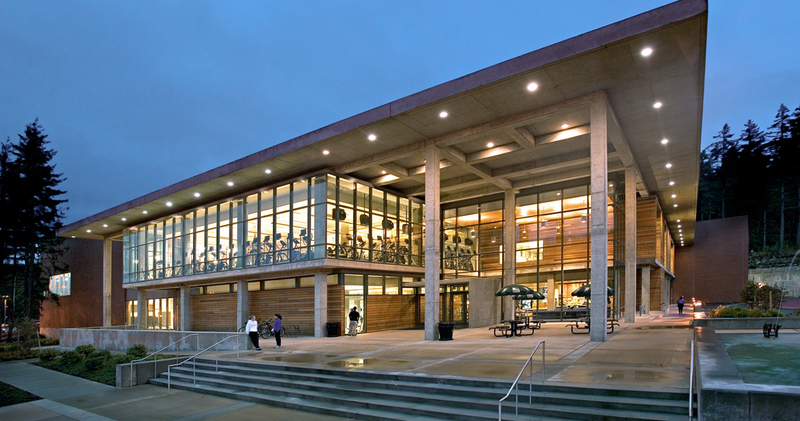 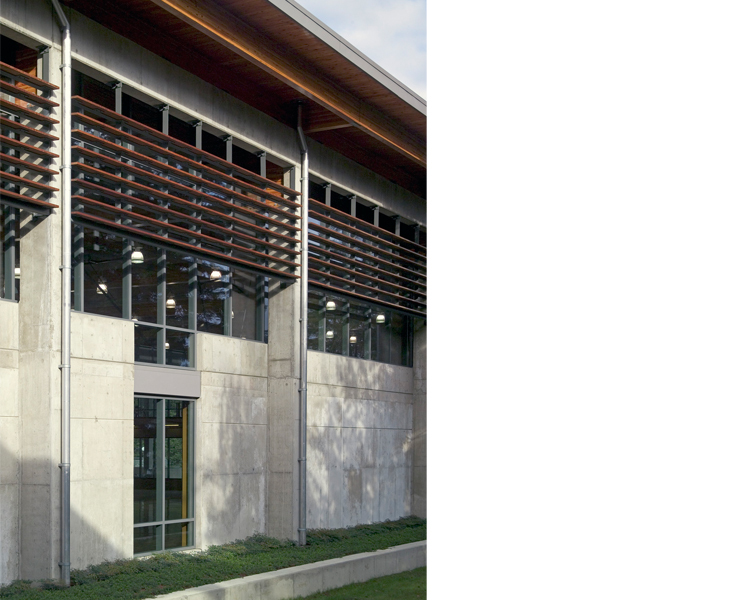 Wade King was one of the first recreation centers in the nation to be LEED Certified, featuring effective daylighting, natural ventilation, exposed concrete structure for thermal mass, integration of recycled and healthy materials and extensive water conservation efforts. 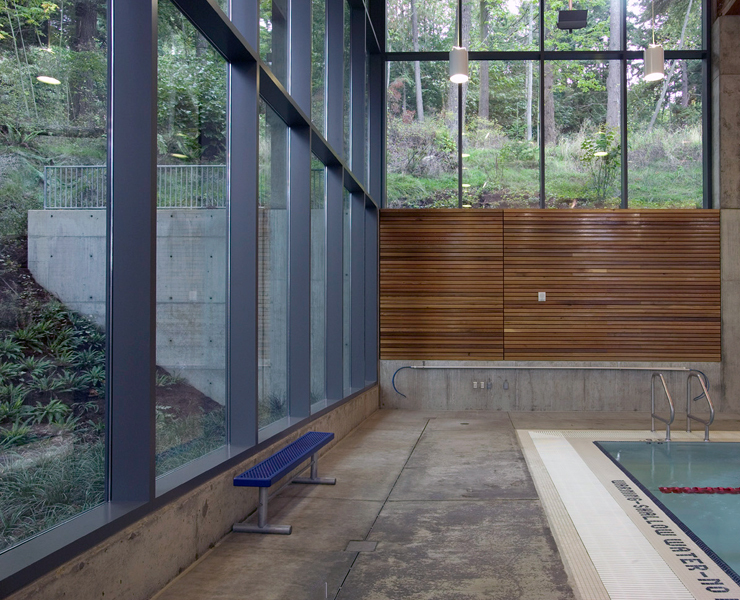 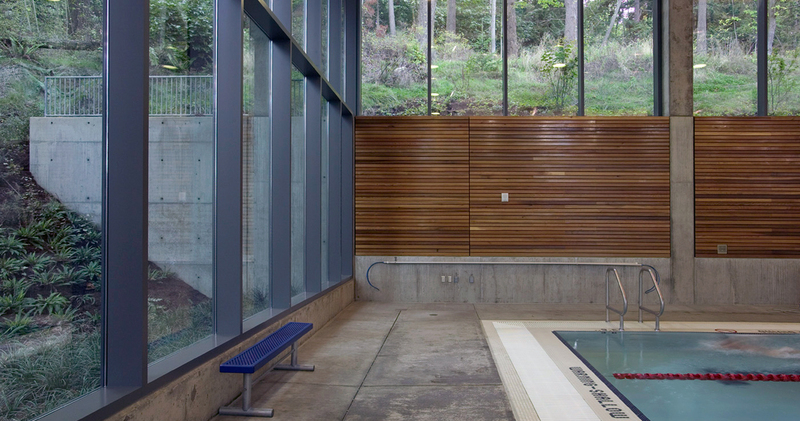 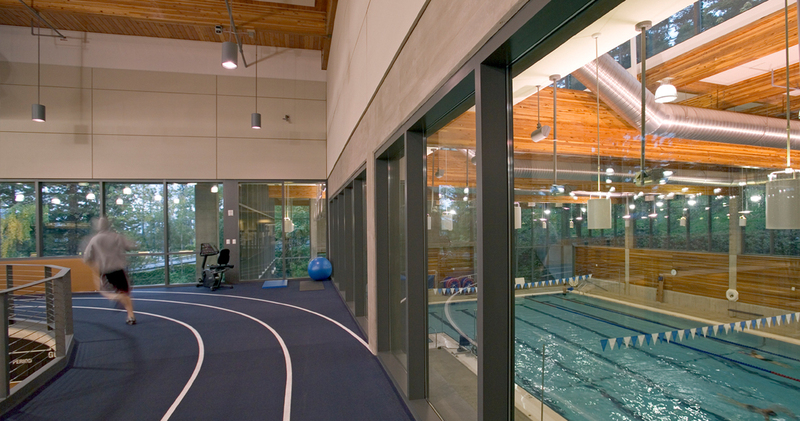 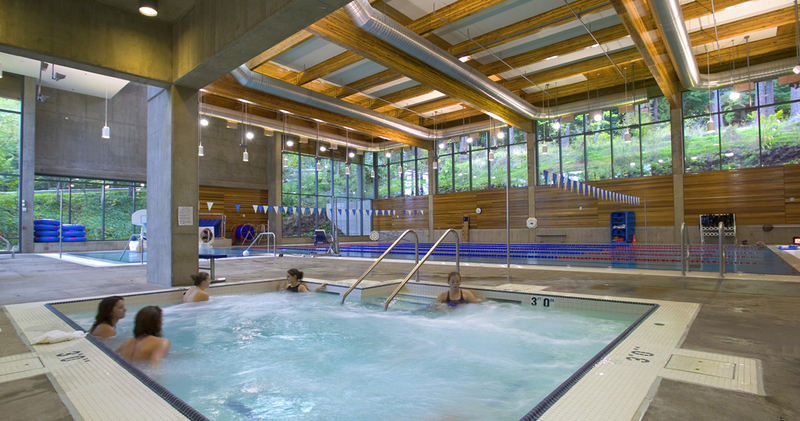 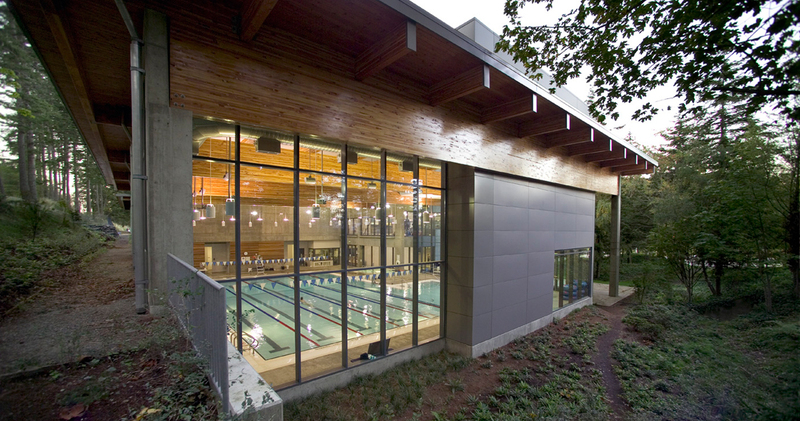 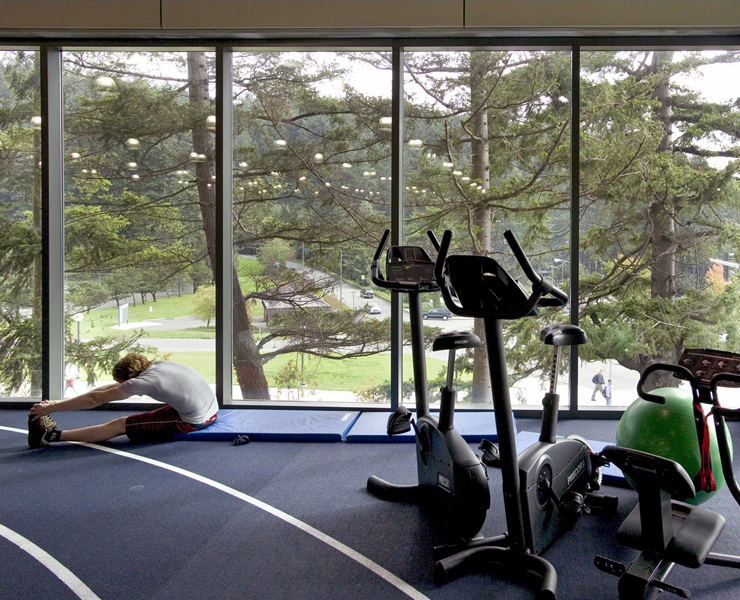 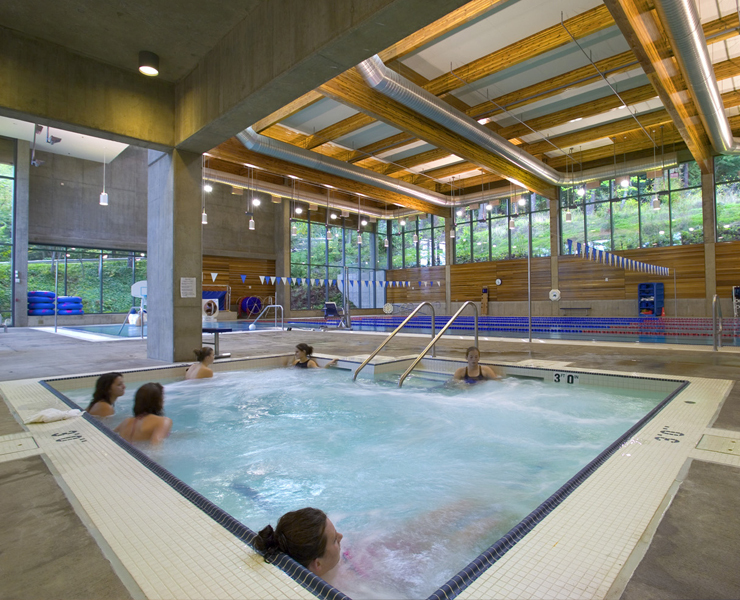 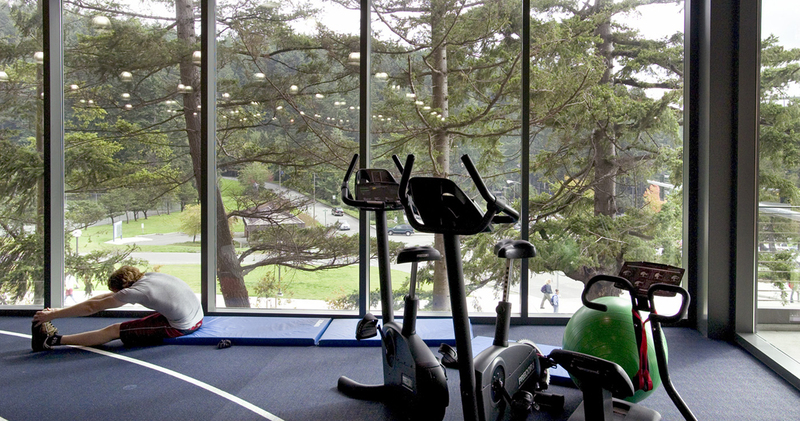 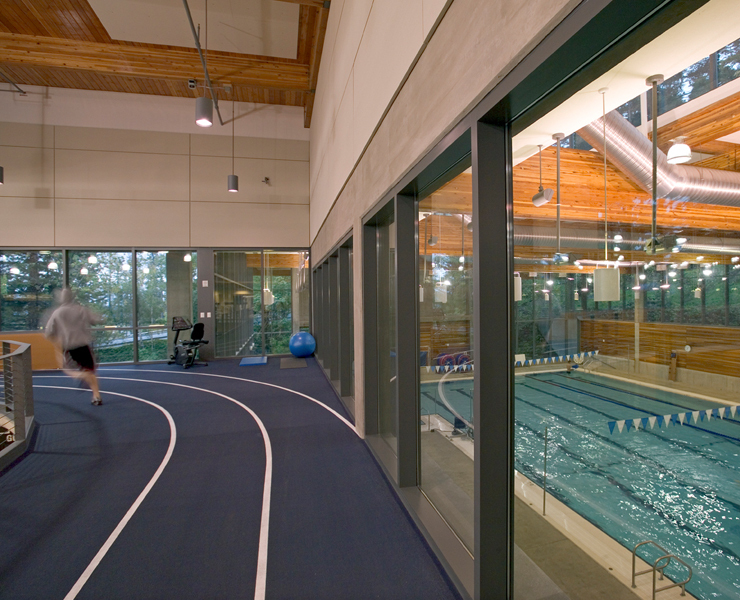 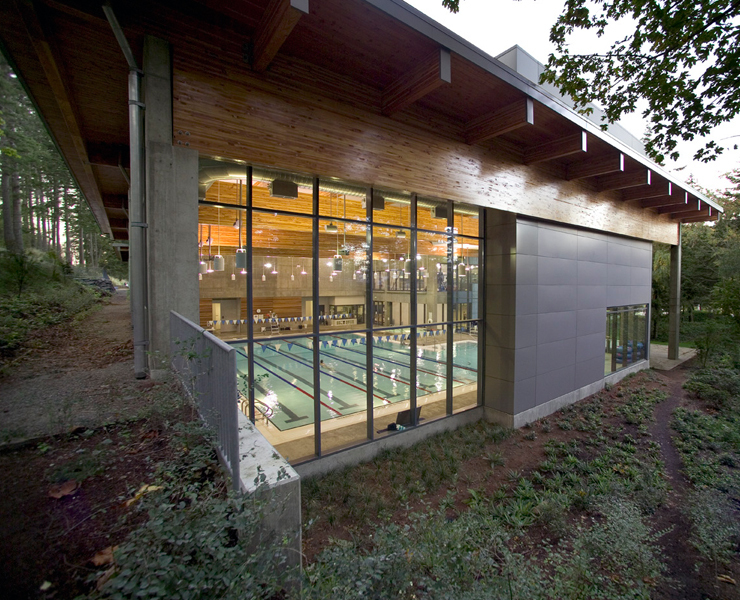 The 6 lane pool opens out through glazed walls to views of the forested hillsides that are a defining feature of the WWU campus. 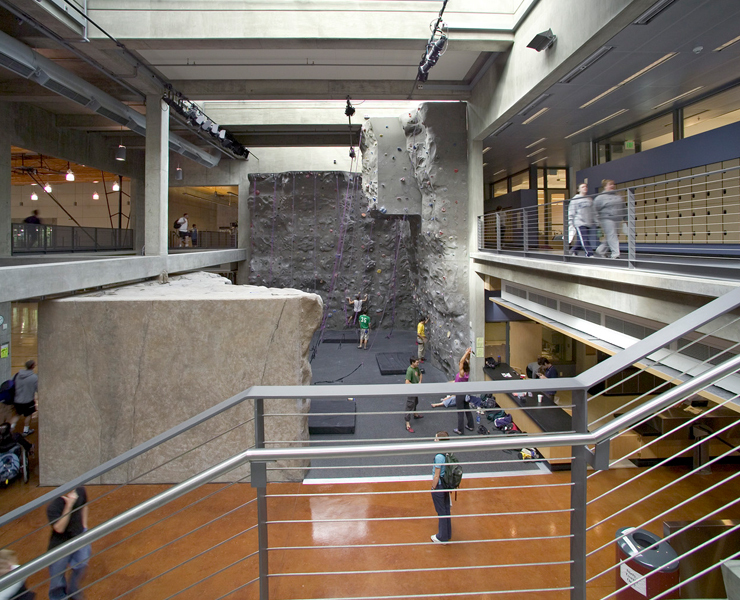 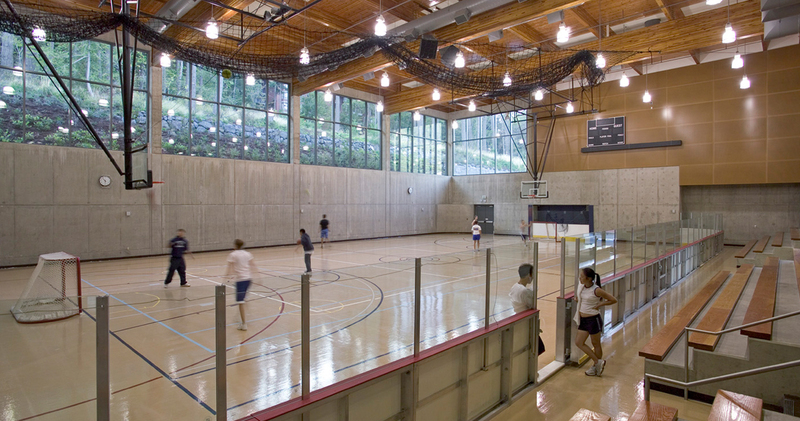 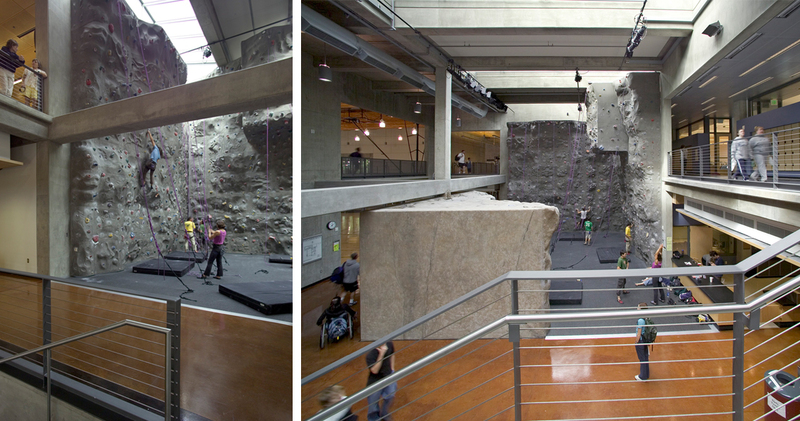 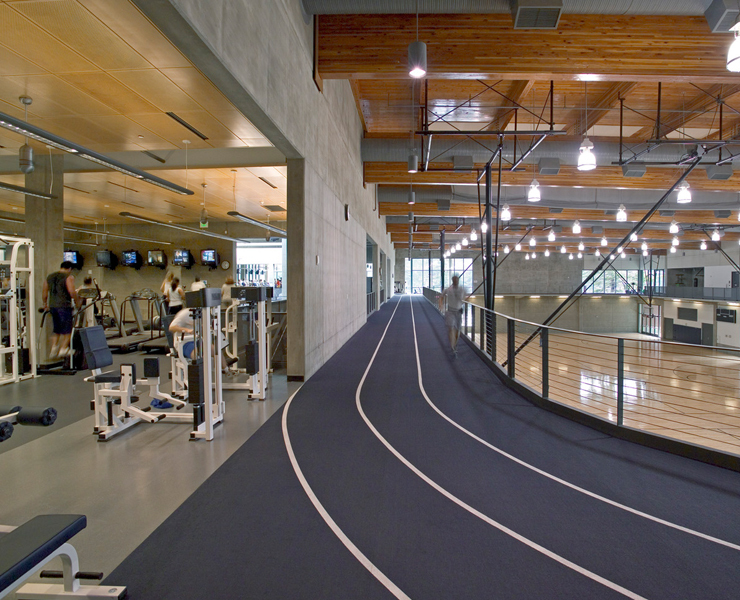 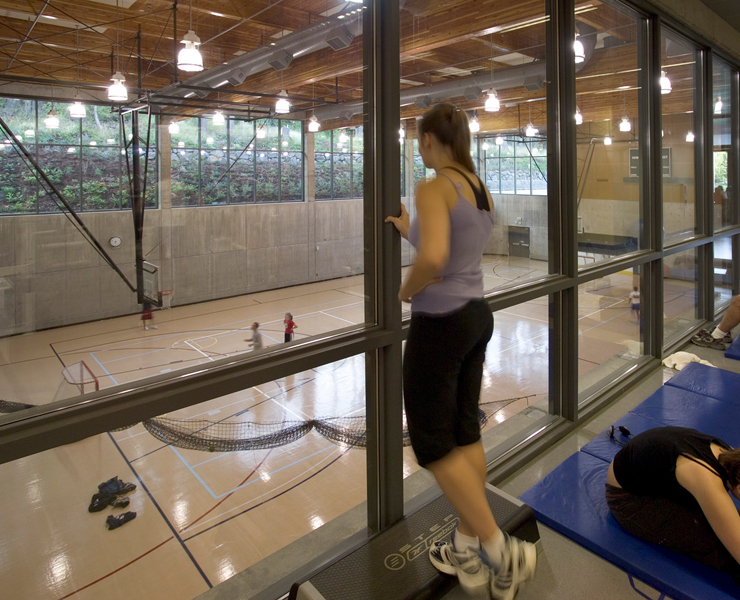 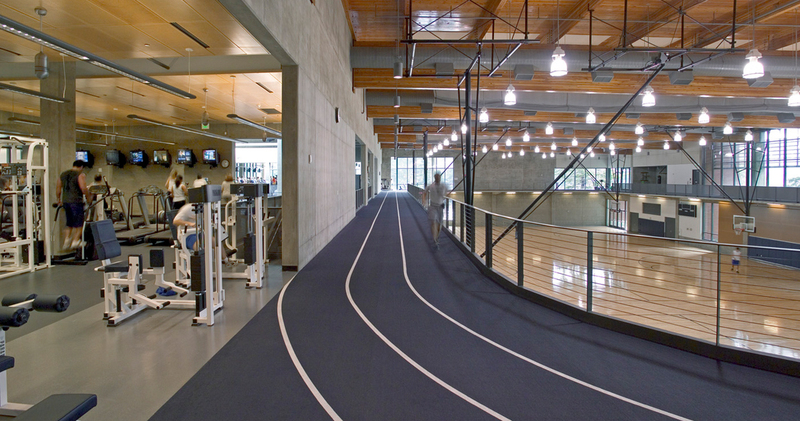 A 3 court gymnasium, an indoor running track, a multipurpose MAC gym, fitness rooms and open fitness and weight training spaces surround a central daylighted atrium featuring a 30 ft high, 3,300 sf rock climbing wall and free form bouldering wall. 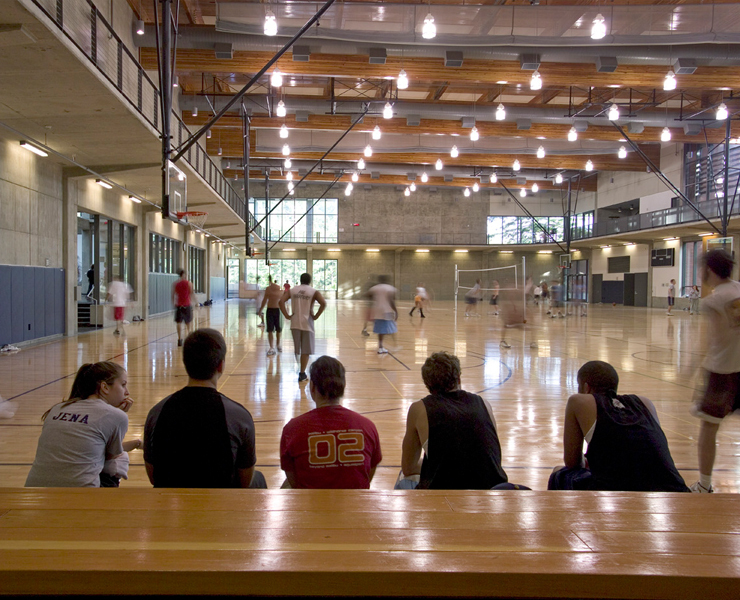 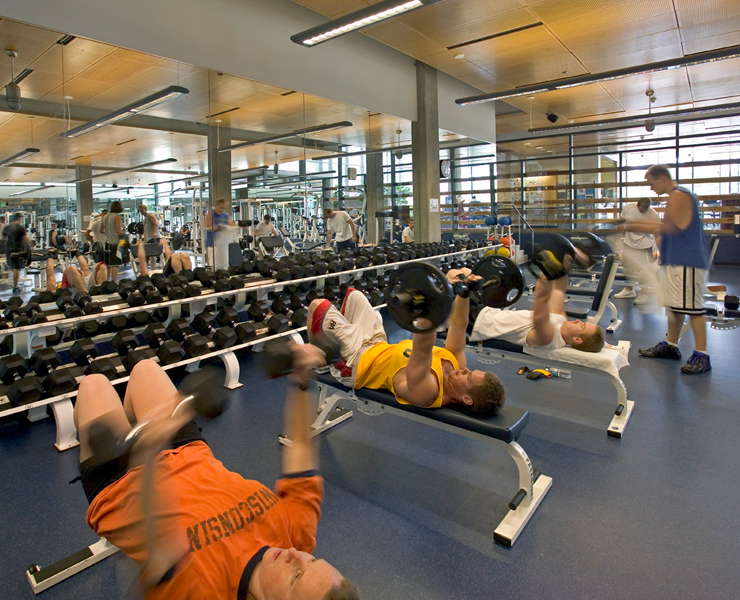 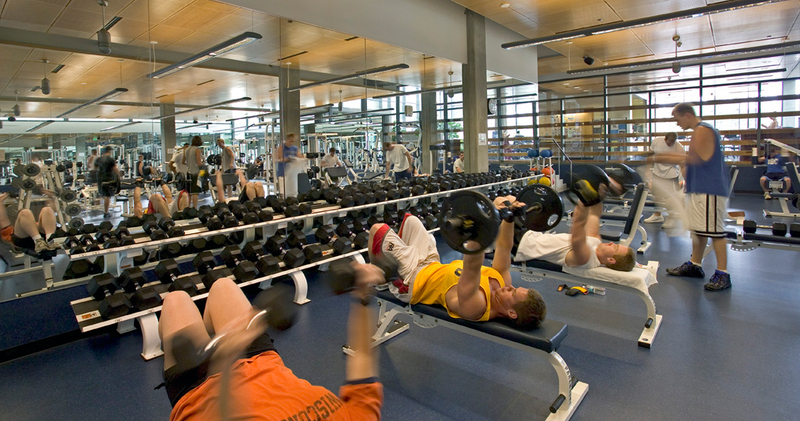 Opsis worked closely with students, recreation and University staff to integrate users’s needs while meeting the schedule and budget constraints. 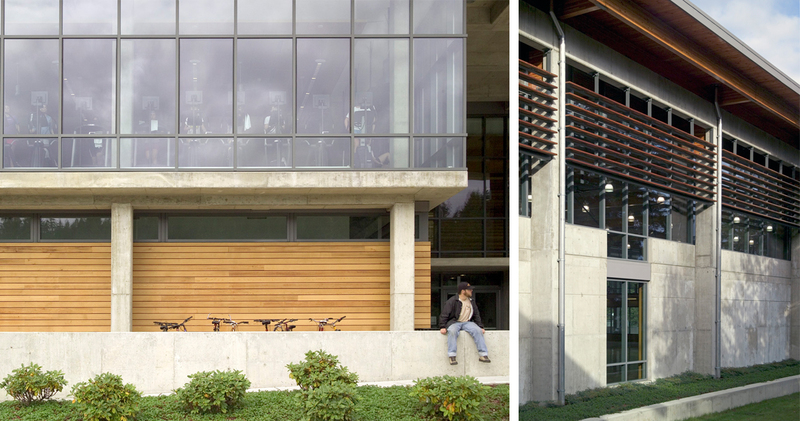 Interactive workshops, open campus forums and tours of similar facilities fostered an open atmosphere of collaboration and commitment to realize the inherent possibilities of the project. 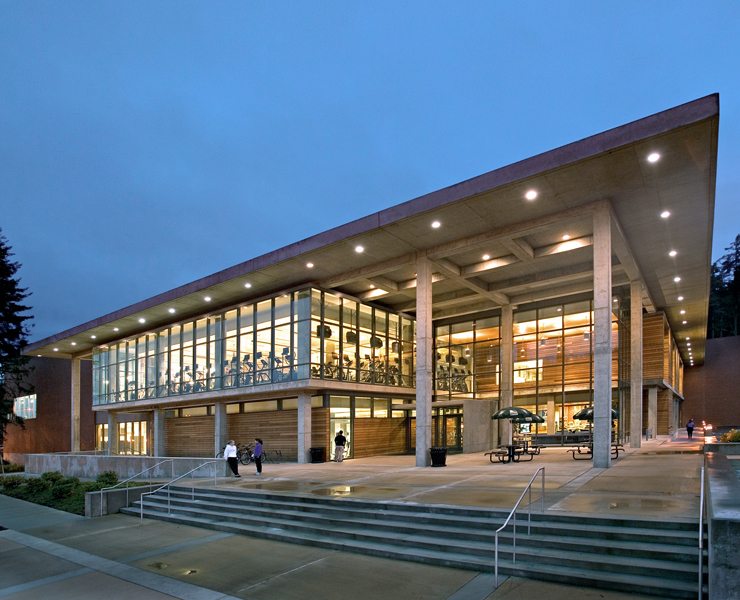 Opsis was the design architect and BJSS/Duarte Bryant served as the executive architect.